The sons of an American defector to North Korea who grew up in the North told the Korean-American media outlet Minjok Tongshin that Washington should start peace talks with Pyongyang. 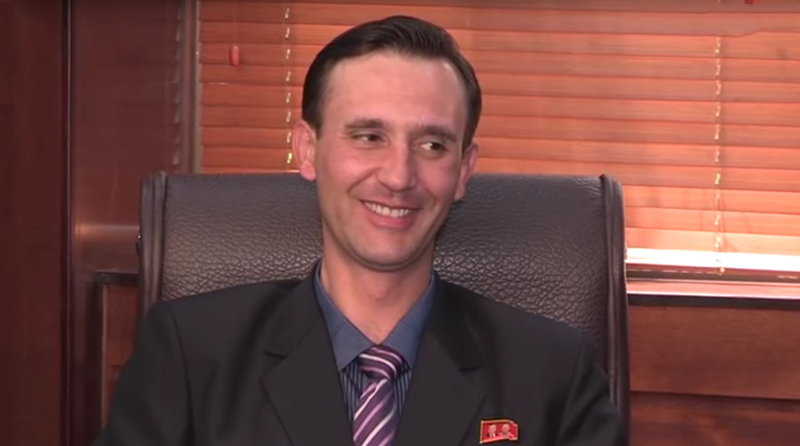 In the interview published on Monday, Ted and James Dresnok, sons of James Dresnok – a U.S. military serviceman who defected to the North in 1962 – praised North Korea as the ideal society and said that their father’s decision to cross the DMZ from the South and live in the North was the “right path” to take. “I would like to urge the U.S. to drop its anti-Chosun (North Korea) policies,” said Ted Dresnok, the older of two, who also goes by Hong Soon Chol. “The U.S. should get out of that state (of criticizing the North) and discuss the peace treaty with us while drawing back its military forces from South Korea,” Ted said in fluent Korean, complete with a North Korean accent. With the shining red Kim Il Sung-Kim Jong Il pin attached to the left side of his chest, Ted said that he is now working as secretary for the educational department of Korean People’s Army (KPA) but refused to comment further on his current occupation. 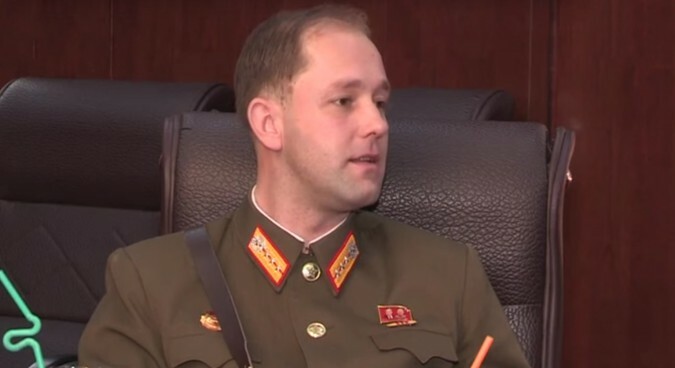 James Dresnok, also known as Hong Chol, said he recently joined the KPA in 2014, and said that he is now Sang-Wi, the rank equivalent to a U.S. Army captain. While most of the interview consisted of two brothers’ praising North Korean society and the government, it also included some of their personal stories such as the racial challenges they had to face while growing up as the “descendants of America” in Pyongyang. “Bad experiences? Hmm … maybe some prejudice … or possibly based on their ethnic pride, some of the students used to tell me things … that were bit uncomfortable to me,” said James. Ted, the older of the two, said that he has even forgotten what “discrimination” means. The two brothers both effusively thanked the Pyongyang government for saving their father, who had been in poverty before he defected to the North. “What would’ve happened to us if we were born in America?” asked Ted, adding that his wish is to be dressed in the “military uniform of the revolution” and join the Worker’s Party of Korea (WPK) to serve Kim Jong Un with fidelity. James, the younger brother, said his life’s goal is to be a military officer protecting Kim Jong Un and bring unification to the Korean Peninsula. NK News director of intelligence John Grisafi said such propaganda is not much of a surprise in his eyes. 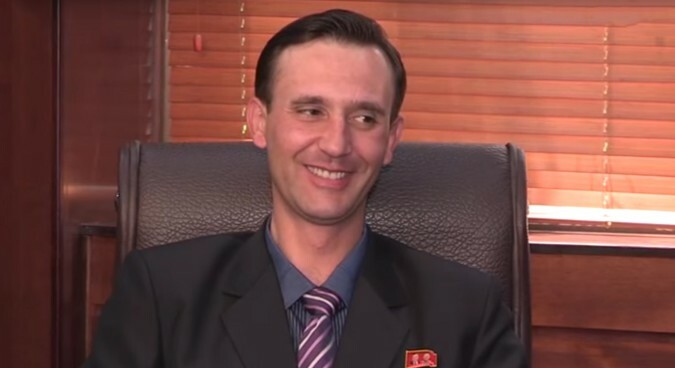 “North Korea has used people like Dresnok and other people from abroad living in the country to serve as examples of how ideal the North Korean system is and claim the country is a socialist paradise where everyone has equal opportunities and true discrimination does not exist,” said Grisafi. According to the Chosun Ilbo, Ted and James are born from a Romanian mother, who was abducted by North Korea and later ordered to marry James Dresnok. She died of cancer in 1997 at age 47. No subscription? You’re missing out. Join the influential community of members who rely on NK News original news and in-depth reporting. Subscribe to read the remaining 566 words of this article. 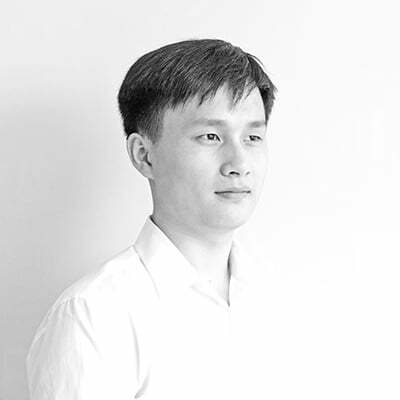 JH Ahn was an NK News contributor based in Seoul. He previously worked as an interpreter for United States Forces Korea.